Much of the food and drink we consume on a daily basis gets its taste from artificial flavourings. Though they’re a huge part of the modern food industry, artificial flavourings remain a mystery to most people. The human tongue can pick up on five distinct tastes: sweetness, saltiness, sourness, bitterness, and umami (savoury). Every other element that makes up a flavour comes from the aroma of the food, and it is estimated that almost 80% of taste is experienced through smell. This is where chemicals, both natural and artificial, come in to play, as they can be used to alter the scent and therefore the flavour of food and drink. Flavours are very complex, with dozens or sometimes hundreds of chemicals interacting to create each food and beverage’s unique taste profile. Tea, for example, has 47 separate chemicals which make up its flavour, while the taste of coffee is made up of almost 100. However, some flavours have a dominant chemical component which, even on its own, imparts its distinct taste to any food it’s added to. In this guide, we’ll look at the chemical compounds which are most commonly used in the food industry, explaining where they come from and how they’re used in the everyday food and drink we consume. Diacetyl is a natural by-product of fermentation, and is added to foods and beverages to impart a buttery aroma and flavour. Most commonly, diacetyl is used as the basis for artificial butter flavouring, which you find on butter-flavoured popcorn. 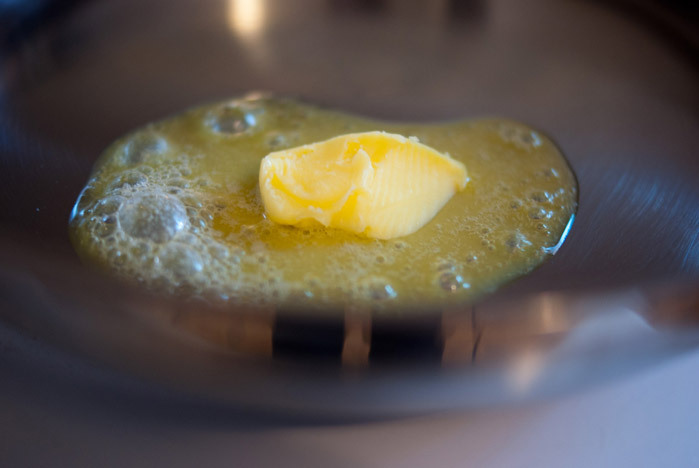 Alongside beta carotene, which imparts a yellow colour, it is also added to margarine to give it a more buttery flavour. Low levels of diacetyl are used in most alcoholic beverages, as it imparts them with a pleasant, slippery mouth-feel, another element which contributes to the experience of consuming a food or drink. Higher levels of diacetyl give a butterscotch flavour — in some beers, such as IPAs, this buttery flavour is desirable, while in others it is seen as a flaw. The makers of chardonnay wine deliberately promote the production of diacetyl, because it is part of the distinctive flavour of the wine. 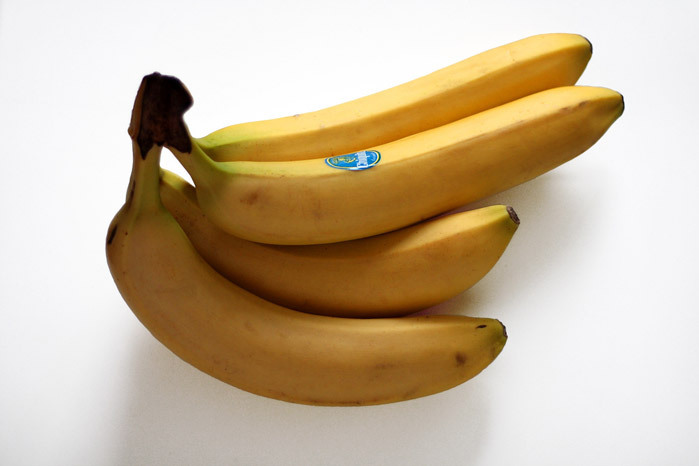 Isoamyl Acetate has a very strong and distinctive scent, and is used to create both banana and pear flavourings. The flavour of pure Isoamyl Acetate is very intense, and can be tasted in concentrations as low as 2 parts per million, which is roughly a single drop for every 50 litres. It is most commonly added to banana-flavoured confectionary, as well as baked goods and chewing gums. Isoamyl Acetate is also naturally produced by yeast during fermentation. Some beers, such as German and Belgian weissbeers, benefit from additional isoamyl acetate, which lends a desirable fruity tone to the drink. Because of its intense, pleasant smell, isoamyl acetate is often used to test the effectiveness of respirators and gas masks. It is released in a test chamber, and if the subject detects the smell of banana, the respirator has failed the test. Isoamyl Acetate is also naturally released by the honey bee’s stinger, serving as a beacon to attract other bees and provoke them to attack. Isoamyl Acetate is produced from Isoamyl Alcohol, a compound which is produced by fermentation and also used to create synthetic apricot, cherry, orange, plum and whiskey flavours. It is also a key component in the aroma of the black truffle. Find out more about Isoamyl Acetate and Isoamyl Alcohol on our product pages. 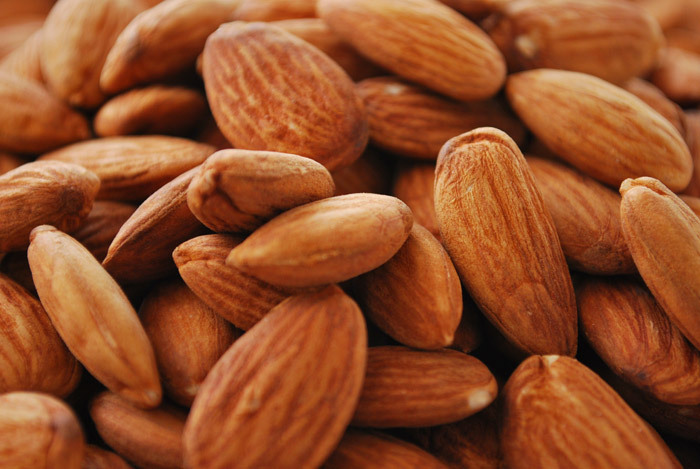 Benzaldehyde, which has a pleasant almond aroma, is the one of the most commonly used chemicals in food production. Used to impart an almond flavour in chocolate and baked goods, benzaldehyde is the primary component of almond oil extract. It can also be obtained from a number of other natural sources, including apricot, cherry, and laurel leaves, as well as from the seeds of peaches. Benzaldehyde is also used as the basis for cherry flavourings, which are commonly used in fizzy drinks and confectionary. Artificial cherry flavouring isn’t manufactured to taste like fresh cherries, but maraschino cherries, which get their distinctive flavour from the maraschino liqueur they’re soaked in. Cinnamaldehyde gives cinnamon its distinctive flavour, and is used to give confectionary and baked goods this distinct taste. It is also used as a scent in candles, perfumes, and air fresheners. 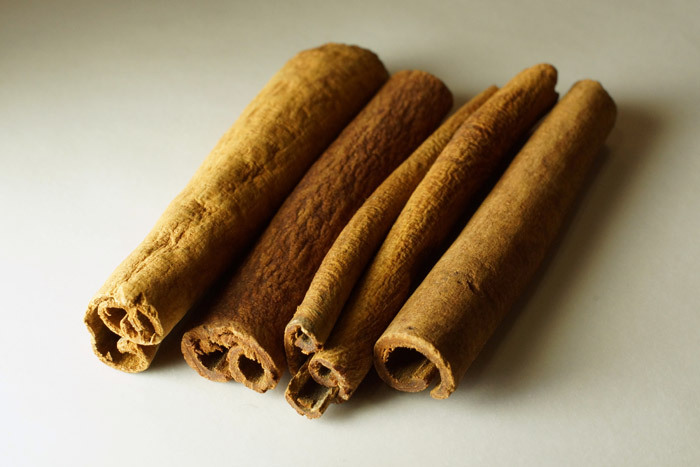 Cinnamon is the dried and crushed bark of cinnamomum zeylanicum, an evergreen tree which grows in South India. Its distinctive flavour comes from cinnamaldehyde, which makes up approximately 2% of its chemical composition. Cinnamaldehyde can be isolated by boiling cinnamon, or manufactured synthetically in the laboratory. Cinnamaldehyde is also used as the basis for dihydrocinnamyl alcohol (hyacinth) and cinnamyl alcohol (lilac), two fragrances that are often used in perfumes and soaps. Methyl anthranilate carries the aroma of concord grapes. It is mainly used to flavour soft drinks, confectionary, and children’s medicine, and imbues a distinctive purple colour to the products it is added to. 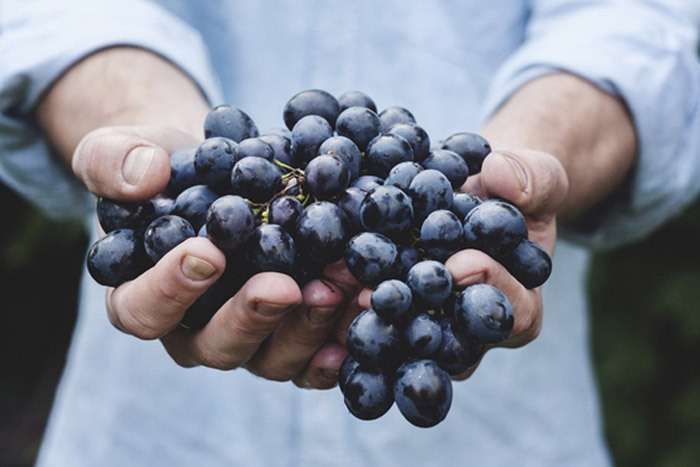 Methyl anthranilate naturally occurs in concord grapes, as well as jasmine, lemon, orange, strawberry, and ylang ylang. Combined with ethyl acetate and ethyl butyrate, it creates the flavour of apple, another commonly used food flavouring. While methyl anthranilate tastes pleasant to humans, it tastes repellent to birds, and is often used by commercial farmers to deter pests from eating their freshly planted crops. Limonene takes its name from the lemon. It can be found in abundance in the rind of all citrus fruit, and makes up a large part of their scent. In food and beverage manufacturing, limonene is used to lend an orange flavouring, and is also used to mask the bitter taste of alkaloids. Limonene is obtained by pressing the rind of citrus fruits. The oil is extracted then distilled to have a more intense aroma, and is then sold commercially as orange oil. Recently, limonene has found another application: 3D printing. That’s because it quickly dissolves a plastic known as HIPS, which is used to create support beams that are removed once printing is complete. The plastic used to create the finished item is not affected by limonene, so the product is left intact while the support beams are dissolved. 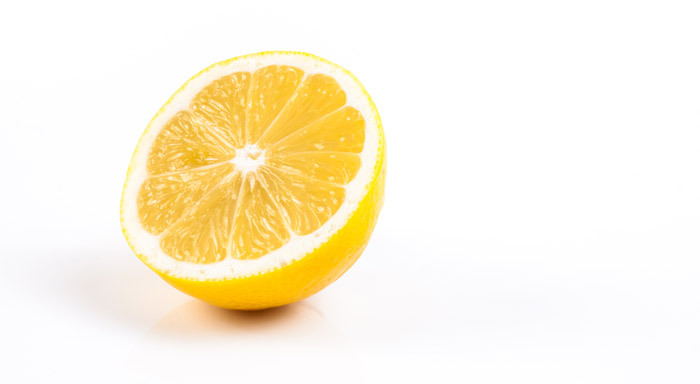 Technical-grade limonene is required for use in 3D printing, which is extracted from citrus peel in a steam extractor. 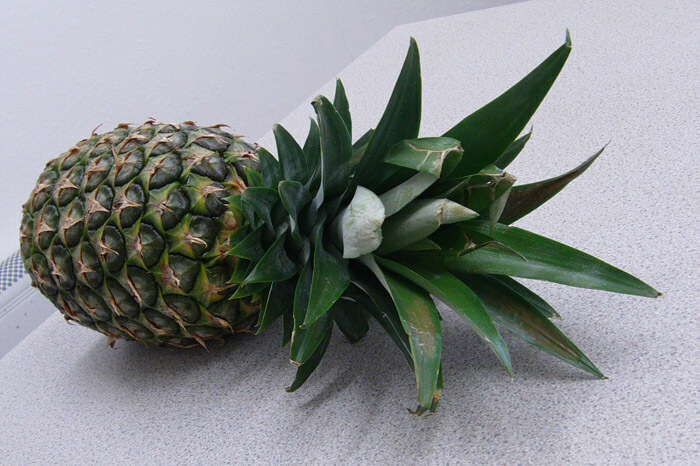 Allyl hexanoate is used to impart pineapple flavour, and is most commonly used in confectionary and soft drinks. It is also the basis of peach and apricot food flavouring, and it is used to add a sweet note to citrus flavours. In perfumes, it is used to imbue apple blossom, peach blossom, and wisteria fragrances. Although naturally found in pineapples, the allyl hexanoate most commonly used as a food additive is synthetically produced using chemicals. Ethyl maltol is an organic compound which has an aroma reminiscent of caramelised sugar or candyfloss. It is derived from maltol, a naturally occurring chemical which contributes to the aroma of freshly baked bread, and is used as a flavour enhancer in breads and cakes. Ethyl maltol is a common ingredient in e-liquids. In small quantities, its extremely sweet taste is used to round off more complex flavours, while larger doses add a distinctive candyfloss flavour. 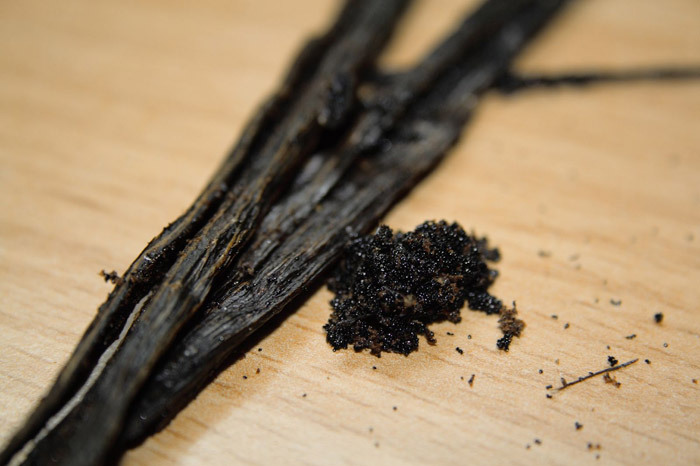 Vanillin is the primary component in vanilla bean extract. It’s a complex and expensive process to extract it directly from the plant, so the vast majority of vanillin used in the food industry is produced synthetically. Vanillin is used in a wide range of foods and beverages, including confectionary and baked goods, as well as soft drinks like cream soda. Vanillin is also imparted into wines, spirits, and vinegars from the oak barrels they’re aged in. Some foods emit vanillin when they’re heated, and it’s an essential part of the aroma of warm coffee, tortillas, and oatmeal. Vanillin is most commonly used as an additive in ice cream and chocolate, and these two industries comprise 75% of the market for the chemical. Due to its sweet and pleasant aroma, it’s also commonly used to counteract unpleasantly scented chemicals in cleaning products and medicines. Ethyl vanillin is a derivative of vanillin which is approximately three times as potent. This is mainly used in the chocolate industry, where its intense flavour means a dose of 0.2% of the base weight of the finished product is commonly used. Each of these chemicals have their own unique fragrance, and they’re often used in combination to make up the flavours of some of our favourite foods and beverages. Chances are, you have eaten several foods with at least one of these chemical compounds in the past week, and now you’ll be able to identify them.